If you have a mod that edits worldspaces then this will correct those changes to make sure the paper world map is properly displayed. Gorgeside Roost - Home for Enderal Map will break without this. 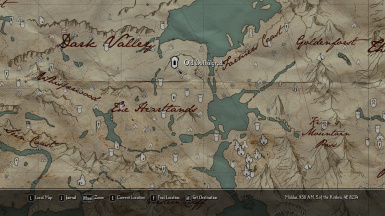 This mod edits a bit of worldspace information to undo changes made by other mods you may have installed that can cause the paper map to glitch out. I think i have edited all the correct worldspaces but if you see anything odd please let me know what happened and which worldspace you were in (Save the game and you will see). This mod can be installed and uninstalled at any time, just be sure to uninstall while indoors. Install my mod at the BOTTOM of your load order. Yes, even below mods like DynDLOD. Basically below any mods that modify worldspaces. However if you run DynDLOD while my mod is installed then you will no longer need to keep my mod because DynDLOD will automatically copy the changes. 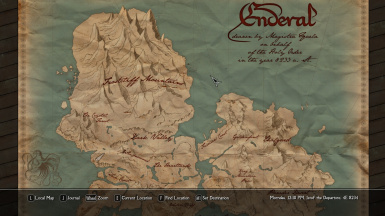 These are other necessary tweaks to be made after updating to a version of Enderal with the paper world map. If you did not follow the below steps the mod will NOT work properly. 1. Update your launcher. Go to https://enderal.com/ and download the new launcher then overwite your old one.